On February 19, 2014, I organized the first Disco Soupe in the capital of the most powerful country in the world. With amazing partners, I helped donate almost 200 pounds of food towards Thrive DC, a local organization that feeds 200 homeless individuals Monday to Friday. 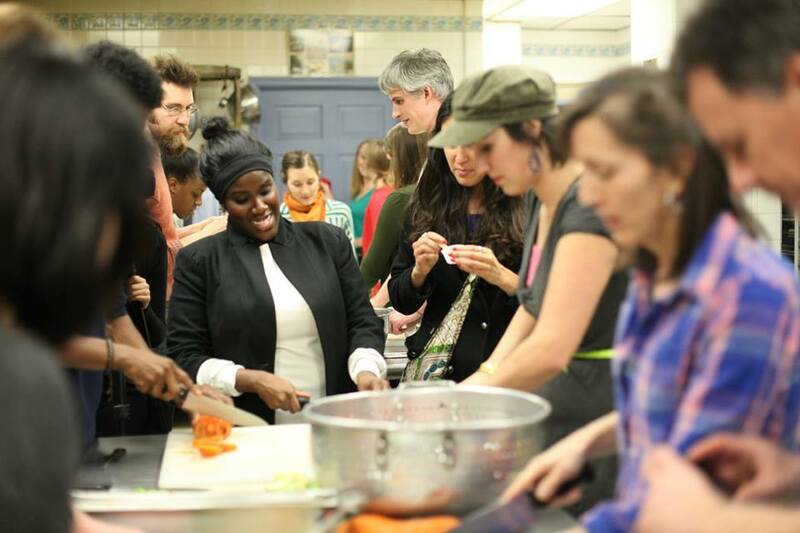 Two months ago, as I was sitting in my room, desiring to take part in a Disco Soupe event, and knowing that one had never been done in Washington, D.C., I realized I would have to step up to the plate and make it happen myself. To my luck, my passion for stopping food waste has been around for some time since I launched this website, and I was more or less familiar with organizations that existed both close by and abroad that could give me advice. Yet, I didn’t have a team, no specific stream of food donation, no venue space and a zero dollar budget to make this happen. Anyone else in my shoes may have felt intimidated by the daunting task, and on some days I was intimidated too, but what kept me going was the need to dream big and do everything in my power to realize my dream. I created an e-mail, googled organizations, found contacts, charities, markets, anyone and everyone working with food, who could possibly be interested in helping me put the event together. From the many e-mails that I sent, some went unanswered, some refused my invitation politely, but some responded with positivity and a desire to lend a hand! Through organizations such as Food Not Bombs, Nourish Now and MOMs, I was able to collect about 200 pounds of food. And with the kindness of individuals like Brian Best from the St. Stephen & the Incarnation Episcopal Church, I was able to find a kitchen and a beautiful venue to host the event. 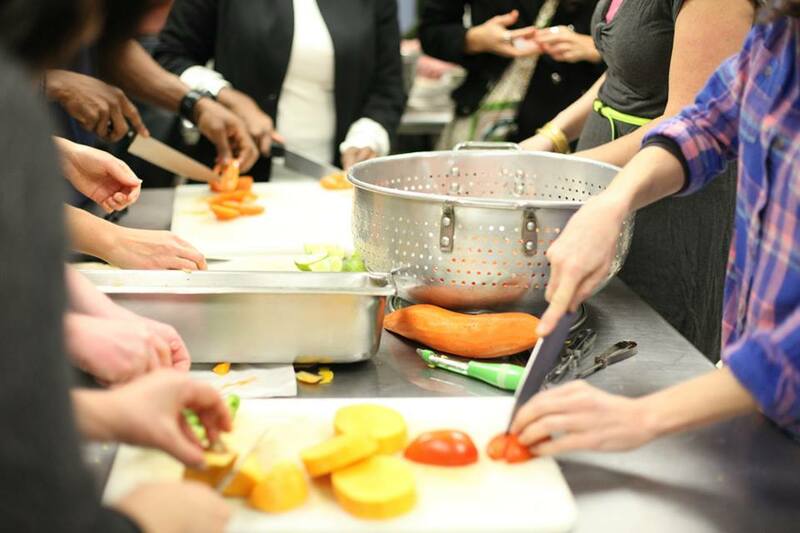 With the questions of food and location resolved, it was much easier to invite organizations to take part in promoting it, finding volunteers to chop up food and local artists to provide entertainment. And yesterday, all that was left to do was show up to the coolest event in DC! There were individuals from the National Geographic Society, Union Kitchen, Loudoun Veg, Zenful Bites, Compost Cab, SW Community Gardens, DC Time Bank, Livity Drink Co. and Feeding the 5k. The feedback was amazing! Everyone felt good about making time to help the less fortunate, and meeting face-to-face with individuals running the organizations that are making the DMV area a more sustainable and equal place. And that’s exactly what such events are meant to do – build a community of concerned individuals who can combine their resources to make a difference. 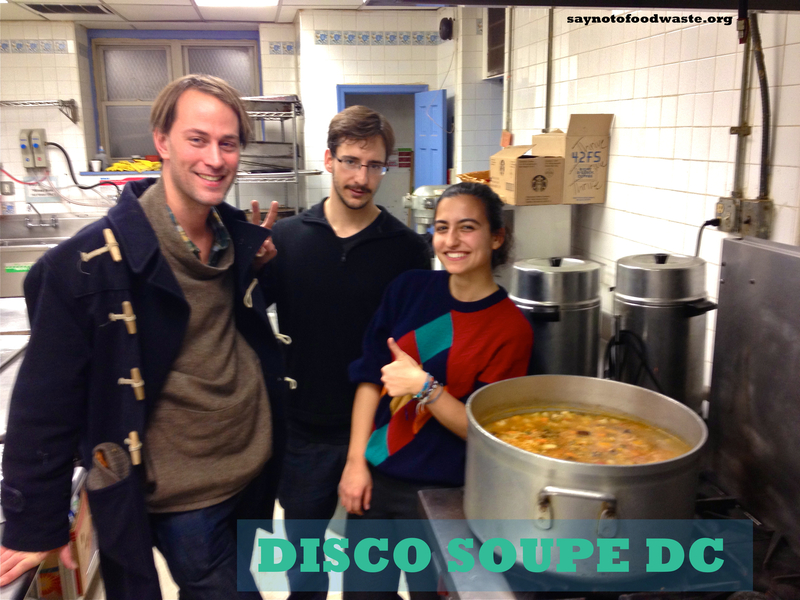 I may have started planning this event alone, but it was with the help of volunteers and amazing organizations that the first Disco Soupe in DC turned out to be a success! My take home lesson is: whether you are a beginner or an expert in whatever sphere you want to focus on, don’t be intimidated. Set the goal clear in your mind, and reach out to others. There will be many who will ignore your requests, but there will be many more that will help you achieve your big dreams, and sometimes, even surpass them! Expect more Disco Soupes to come, with bigger spaces, bigger food donations and more local artists! So if you missed out on this one, make sure to join others! I will also prepare a pdf with direct contacts to organizations that took part yesterday and that will make sharing resources much easier!